Benchmark Pools and Landscaping are a bespoke pool building and landscaping company that can turn your garden into your dream pool and surrounds. Benchmark pools are based on Sydney’s northern beaches. We are a bespoke pool building landscaping company that can design and construct your dream pool and garden from start to finish. Our landscaping background means that we will build you a pool or spa that’s fits into the surrounding landscape and doesn’t dominate it. 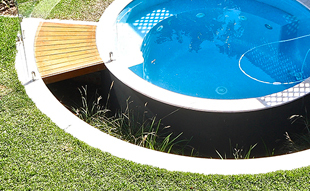 We are a boutique business with 23 years experience and are able to provide solutions to almost every facet of your pool and garden construction. 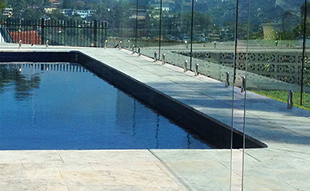 Whether it be waterfalls, infinity edge, glass spillways, pool cleaning systems, pool heating, automatic pool blankets or swim jets we have the expertise to construct your pool to the highest standard. We can also supply filter box solutions and frameless glass or powder coated pool fencing so that all you need to worry about is your cozzie. Benchmark Pools can create the pool that suits your situation by bringing not only our extensive knowledge of pools to the table but our own in house landscape designer to make your pool fit into the surrounding landscape seamlessly. We can survey and submit plans to council for DA including all engineering drawings or design your pool as complying development cutting waiting times. In our 15 years of existence we have undertaken almost every conceivable residential landscape possible always trying to create a unique landscape with every new project. We can undertake anything from decks, screens and pergolas, concreting, paving, tiling and retaining walls, to water features or feature walls and will always keep an eye on the basics such as functioning drainage. Some of Benchmark Pools most amazing transformations have been renovations of existing pools. 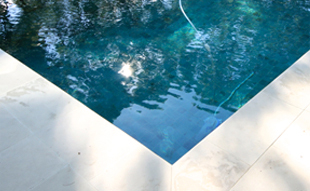 Whether it’s changing the shape of your pool or just an update with new coping and pool surround or even new waterline tiles or interior we will advise you the best new finishes for your pool that will suit the environment that it is in. Because we are able to look after the whole project from start to finish and you only have to deal with one person. Not only does this mean that the timeline of the job runs more smoothly but also means that nothing is missed. We are able to tailor the whole project to suit your situation and will not compromise on quality. In the end you have the peace of mind knowing that if there are any issues that you only need to make one call to solve them. Presently we are currently building a new pool in Mosman and have just finished a pool renovation in Vaucluse and another in Mona Vale. Our next project will also be in Mosman. Our services really do cover everything within the landscaping , pool building industry. We can provide everything from design services and engineering drawings for council submissions to fulfilling your project from start to finish so that all you require is your swimmers. What our clients say about us means more than what we say about ourselves.